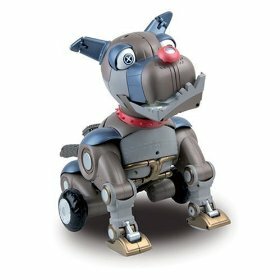 Amazon has the WowWee Wrex the Dawg Robotic Dog for just $39.99 (reg. $150!!!) W/ Free Shipping! Wow! They also have the WowWee FemiSapien Humanoid Robot for just $38.97 (reg. $100) w/ Free Shipping! You can custom program these robots…they are truly amazing!